Keep your backyard flock cool, calm & comfortable this summer with these great tips from Purina Mills. Summer is a time for fun, adventure and excitement – for both flock owners and backyard flocks. 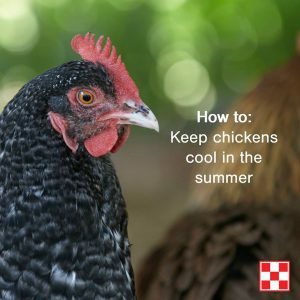 As the summer sun hits its peak, flock owners can apply their own summer health practices to better care for their backyard poultry. This entry was posted on Wednesday, June 20th, 2018 at 3:08 pm	and is filed under Chicks, News & Updates. You can follow any responses to this entry through the RSS 2.0 feed. Both comments and pings are currently closed.